We say “union”, you say “power”! The ASU were front and centre as Tasmanian workers stood up and fought back at Change the Rules /Tasmania Needs a Pay Rise rallies across the island state on October the 24th. 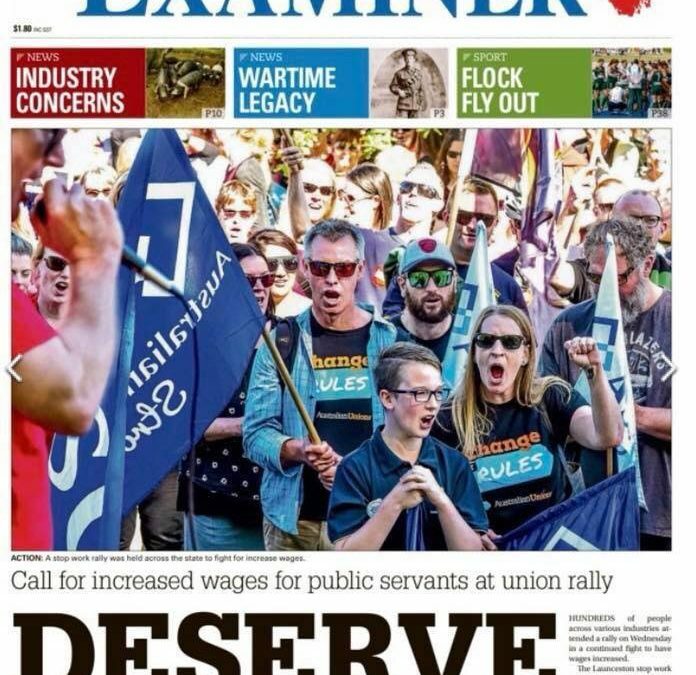 The massive turn out in Hobart proved without a shadow of a doubt that it is a UNION town with approximately 3000 workers rallying on Hobart’s Parliament Lawns. The Launceston rally turnout was also impressive with around 1000 workers attending and Devonport, Burnie and St Helens events were also well supported. ASU members, Delegates and Officials proudly stood alongside members from all Tasmanian Unions including Tasmania’s teachers and nurses who were exercising their right to take protected industrial action as well as large numbers of other public sector workers rallying to express anger at the State Government’s pitiful 2 per cent pay rise offer and refusal to scrap the 2% paycap. Together we can change the rules! !